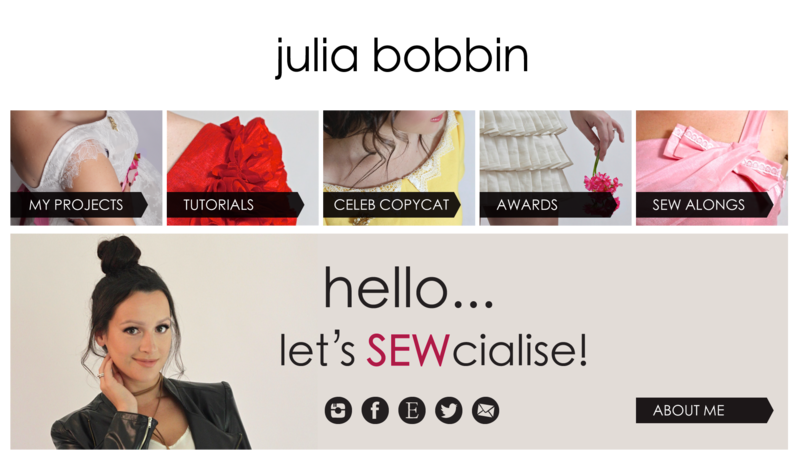 For those of you who have been following my blog for a while (hi mum!) you may be feeling a case of dejavu! That's right, this little number was made by me just a short five years ago! 2012 saw William and Kate get married and we were treated to some fashion inspiration. At the time I was pregnant with my first born and so I made this dress and got my sister Angeline to model it for me. Flash to five years later, and I decided to try it on; it fits! In honour of Pippa Middleton's recent wedding I thought I would share the NEW pics with ME wearing the dress and give a quick recap for those who are interested. You can find the original review here. A Butterick Pattern #5710 that comes with two skirt variations; full length and knee length. I cut this dress in a straight size 8 and it is form fitting but not tight. 3 metres of the most stunning ivory wool crepe; seriously this fabric is just heaven! 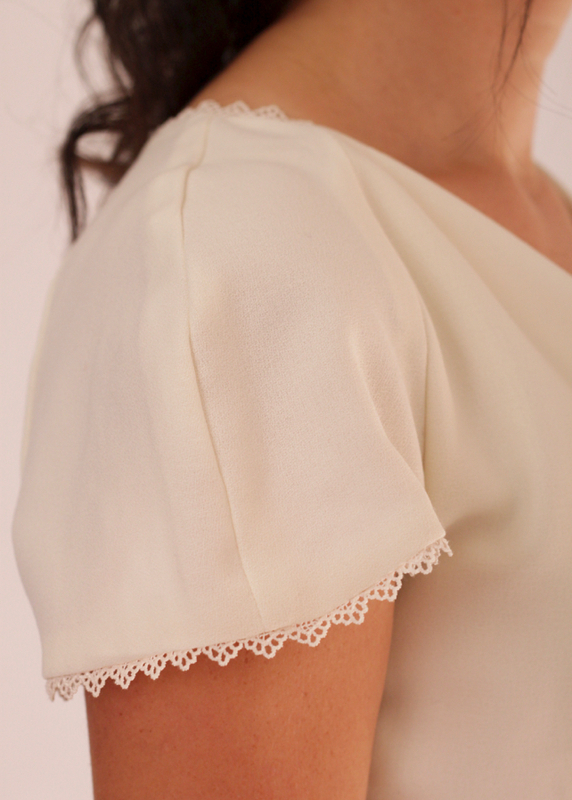 The dress is fully lined and has hand-dyed lace trim along the neck and sleeve hems. This dress is free of darts and is cut on the bias for a close fitting, flattering silhouette. Wool crepe has just such a lovely weight and when cut on the bias it drapes so beautifully. The dress is shaped at the waist and has a self-faced cowl for an elegant, romantic neckline. The subtle train on the full length skirt adds to the dreamy, sophistication of the garment. 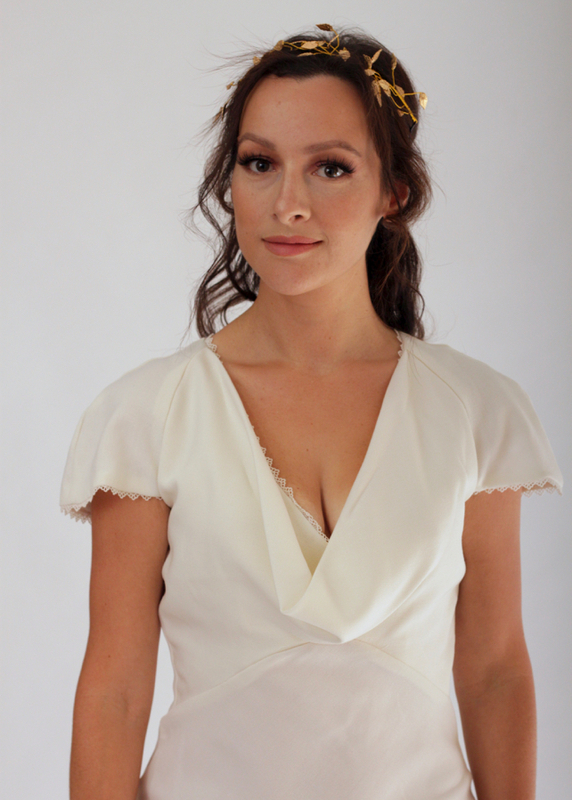 I styled the dress with a gold leaf crown, which gives off more of a grecian vibe than perhaps an English sophisticate but I think it works either way! Instead of closing the dress with an invisible zipper, I used elastic looping trim and 36 wool crepe covered buttons to close. This. Took. Forever. I'm glad I took the time to add the buttons as it is such a nice touch and is so visually pleasing. I also added the lace trim to the edging before attaching the lining, exactly as you would with piping. The pattern has you add it after the lining is attached, which would mean a line of top stitching along the edge. I think it looks a lot cleaner without. The drafting of this dress is really fantastic and when paired with luscious fabric such as wool crepe, the effect is one of subtle elegance and luxury. The dress took around 14 hours and a lot of love to make and not once had an outing. Off to my lil' etsy store it goes in the hopes that someone else might be able to get as much joy wearing it as I had making it. I love this dress so so so so so much! And now I need a gold leaf crown. Like, now! Hi Ann! It's me in the photos!! I just googled Pia Tjelta and I can see a bit of a resemblance ;) Thanks for your comment! Beautiful the first time I read about this frock, and no less the second time around. I hope whoever buys it adores it! This is so beautiful. I love the back detail with the buttons.